We at ProductCart are proud to announce our most recently website launch. 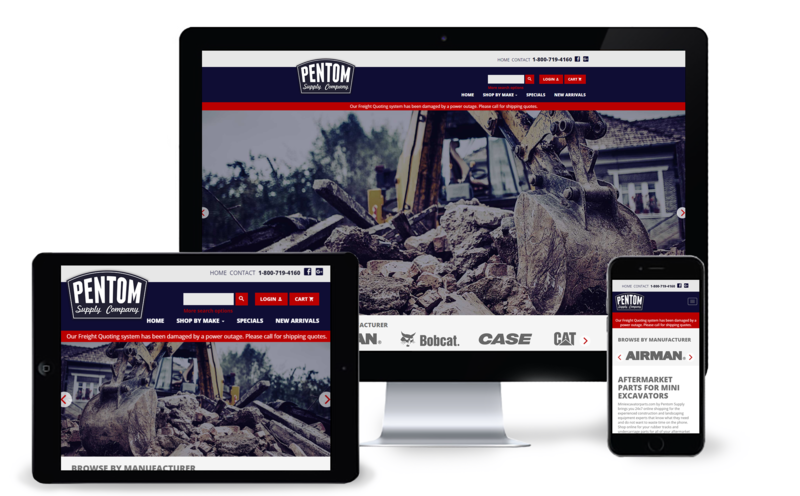 Mini Excavator Parts by Pentom Supply Company has launched their custom ProductCart shop and we could not be more pleased with how this project turned out. 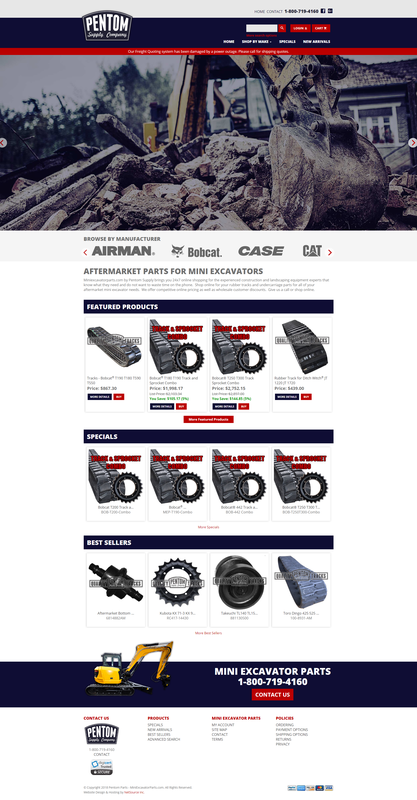 Our experienced designers were able to create a completely custom design for Mini Excavator Parts. Featuring a beautiful edge to edge design, this custom website stands apart from the crowd. Not only is the new design beautiful, it is also functional as well. Designers created larger product images, as well as incorporated an easy to use navigation system. Making it easy for users to navigate the website is of the upmost importance, and something we strive to implement on every single one of our ProductCart websites. Our custom websites are also SEO optimized. An SEO optimized site helps a business rank higher in Google and get seen by more people. So if you want your site to be clean, beautiful, easy to search and user friendly; Contact one of our professional designers at ProductCart today and let us help you grow your business!